New old stock, frame and lenses are in perfect condition. Including original Cazal ballpoint pen and FPOS hardcase. 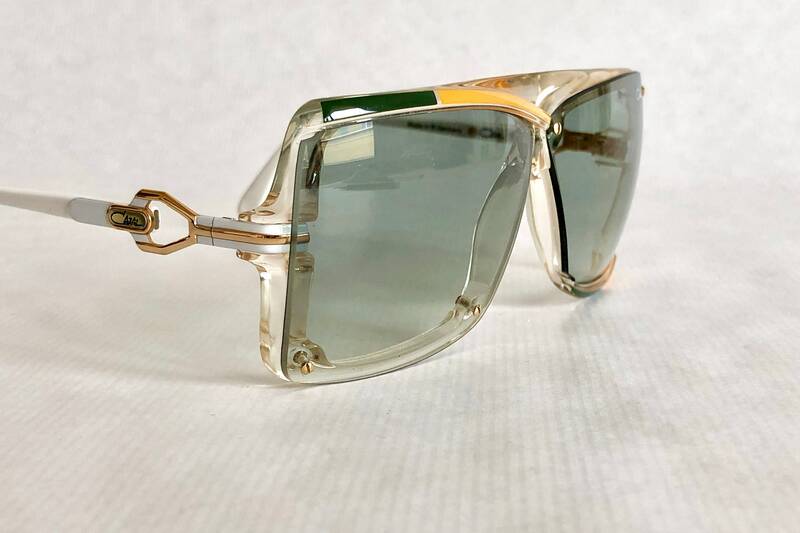 The history of Cazal is closely intertwined with the history of early Hip Hop fashion. It all started in 1977. 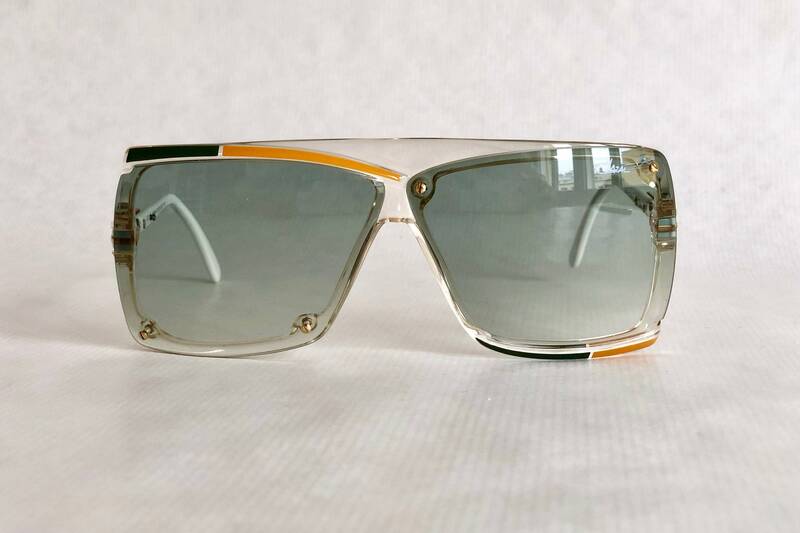 The Bronx was burning, and after the blackout, a new fashion phenomenon started to pop up at the block parties: Thick acetate frames, often worn with the demo lenses meant only for store display. They became one of the earliest hallmarks of a new style, a new culture and sense of self that was about to sweep the globe. 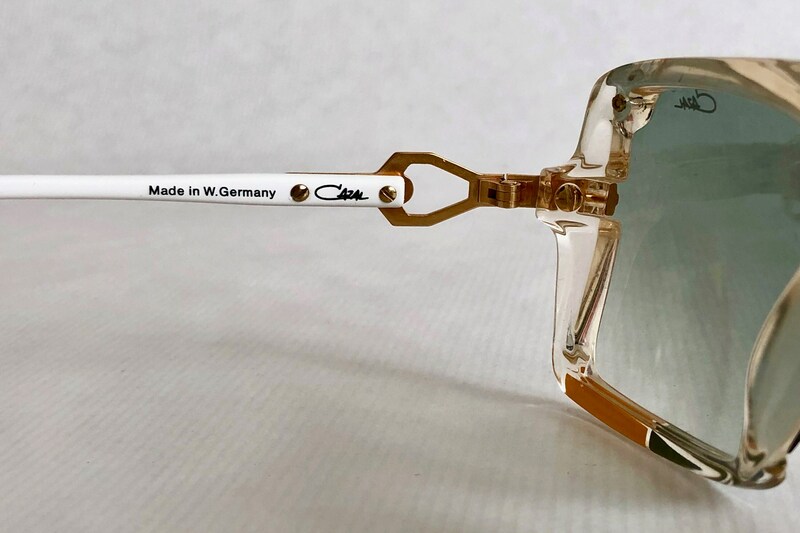 The Cazal 607, 616 and 627 were originally designed for old West German gentlemen of a certain age. Then came the kids from the Bronx. It was one of the first instances where Hip Hop culture took something that was never meant to be cool and made it immortal by putting it in a totally different context. Unlike many other companies that got associated with Hip Hop culture and tried to distance themselves, Cari Zalloni embraced this new audience for his designs. After the fashion icons of early Hip Hop culture embraced his creations, he started to take cues from Graffiti and Hip Hop fashion to create new designs. 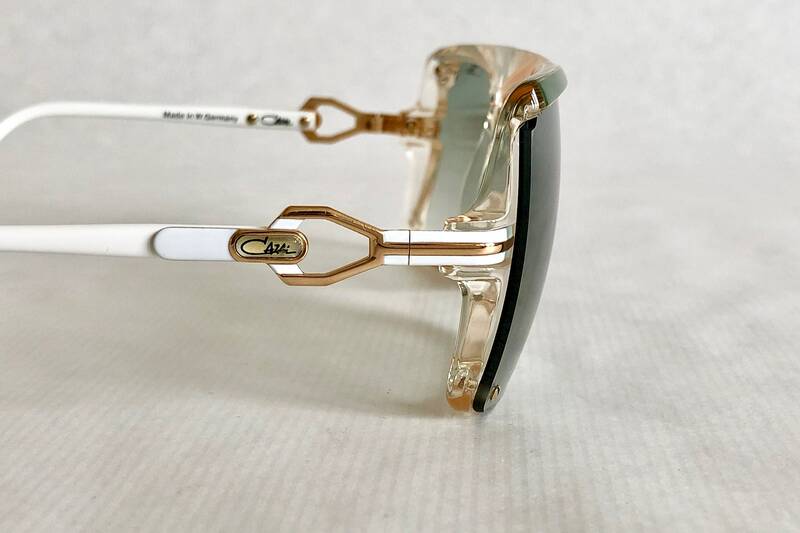 Nine years later, the Cazal 856, 857, 858 and 859 were released as an homage to the style and culture that breathed new life into Zalloni's designs. 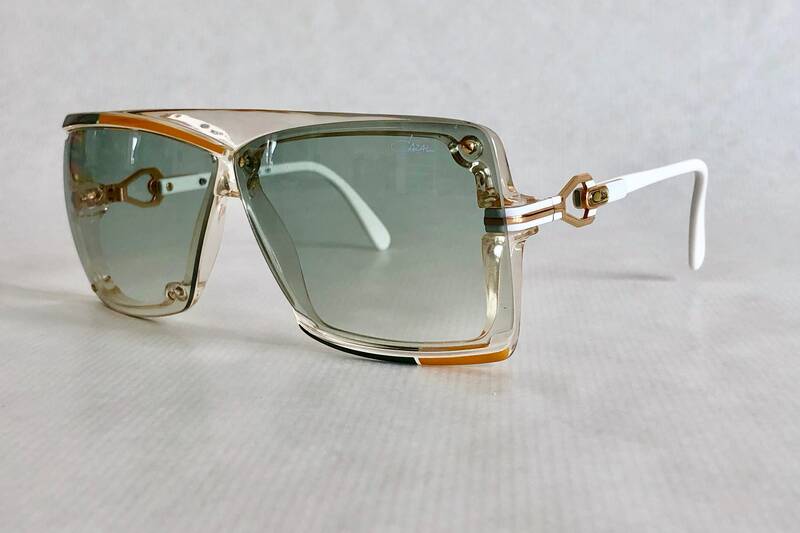 The history of Cazal and early Hip hop fashion went full circle. And until this day, even though a lot of the originators are gone, the beat goes on, until the break of dawn. 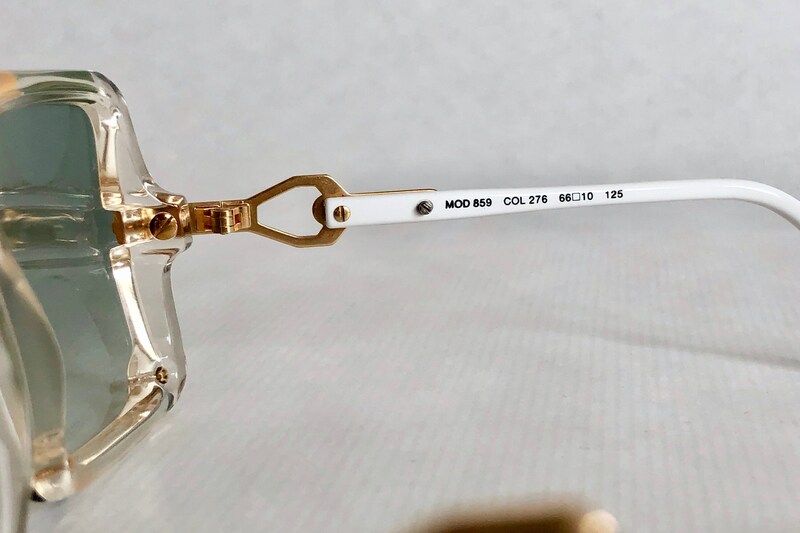 Unlike other asymmetrical models from the 800 series, the 859 features perforated screw mounted lenses, with the left lens being mounted at the bottom, and the right lense at the top. This allows you to have the lense «over» the frame instead of «inside», so the border of the frame stays visible in all its details. A perfectly unisex frame of breathtaking beauty. Inspired by early hip hop culture, the bold 859 is second to none in design and timeless in style. 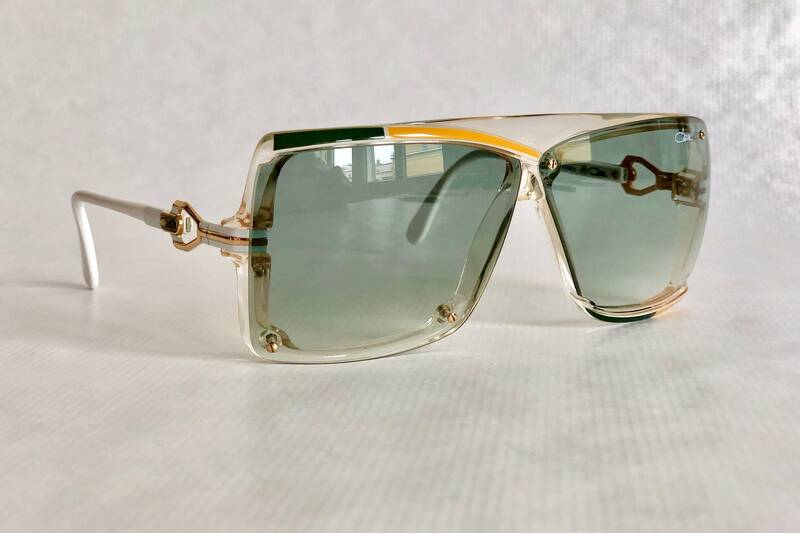 Frame: Rolled gold with white details, clear acetate with green and yellow details. 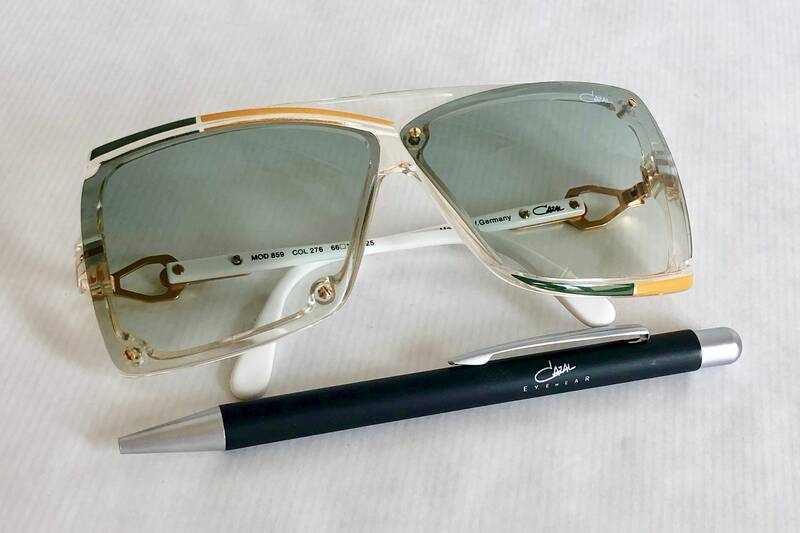 Lenses: Original Cazal green gradient, «UVProtection» logo on bottom left lens, Cazal logo on top right lens.